Vote Every Day. 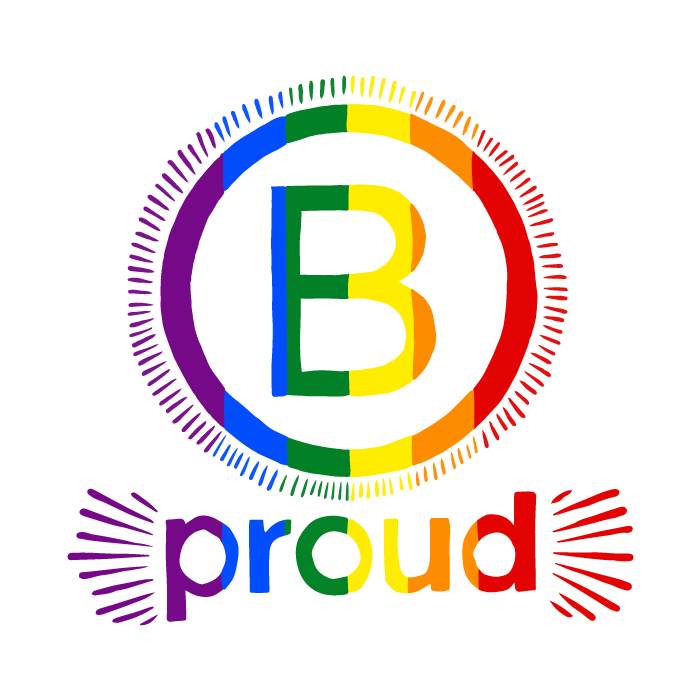 Vote B Corp.
B Local PDX is a proud supporter of Pride and our LGBTQ+ community! This poster, designed by local artist Zachary Marvick, symbolizes the rainbow of many faces that make up our community. This poster will be available for purchase as an 11x17" print starting Friday, June 15 at all Portland-area Nossa Familia Coffee café locations, as well as at the B Local PDX happy hour event on June 27 at the Fully showroom on SE Water Ave. All proceeds will be donated to the Sexual & Gender Minority Youth Resource Center (SMYRC) in Portland. Interested in a poster, or a few? Feel free to reach out to BLocalPDX@gmail.com. Be you, Be strong, B PROUD! Fully, Beneficial State Bank, Wanderwell, Scout Books & Nossa Familia Coffee have teamed up with B Local PDX for a happy hour celebrating Pride. All B Corp employees, family, friends and community are welcome. Join us for snacks, drinks and snazzy raffle prizes! 100% of raffle proceeds will go to the Sexual & Gender Minority Youth Resource Center (SMYRC) in support of their programs for LGBTQ youth. Use the B Proud Logo! The 'B Proud' logo is derived from the Certified B Corporation logo and is free and available for use! Download a zip file of PNG & AI files or simply save the logos below, and wear them proudly!